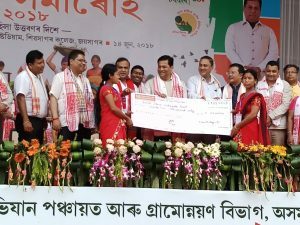 Assam Chief Minister Sarbanadna Sonowal was of the opinion that women in the society have always played a lead role as an important element of change agent. Speaking at a Mahila Samaroh (Women’s meet) at Sivasagar on Thursday, Chief Minister Sonowal said that in today’s world where the society has seen a complete proliferation of ‘social media’, the use of which has become omnipresent, women should take a lead role in guiding the younger generation against the abuse of social media. 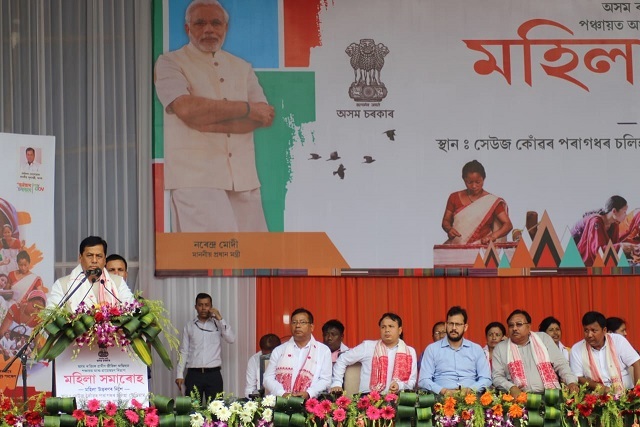 Sonowal said, “Swargodeos of Ahom regime more particularly Chaolung Suikapha formed the edifice of Bor Asom and we should all be motivated by the ideals of a united Asom and work accordingly in the 21st century to strengthen the edifice of Bor Asom”. He also said, “We all should keep in mind the glowing history of Assam. Ahom rulers braving all odds fought against the Mughal invaders who invaded Assam for 17 times and not only saved Assam but the entire Northeast”. The 600 years rule of Ahom rulers has had a unique place in the history of the country which had created a foundation of friendship and harmony among all the ethnicities of the State. He also stressed on the need for the younger generation to study the glowing history of Assam for them to understand the richness of the State. Sonowal also said that the women folk should work to remove all forms of superstitions in the State. He also informed that to discourage superstitions and all its manifestations, government has introduced a programme called ‘Sanskar’. He also urged upon the women folk of the State to act as a catalyst and work with artistes, litterateurs, and all sections of the people of the state to make ‘sanskar’ really successful. He also said that some unscrupulous sections of the society through social media spread canards in an effort to de-stabilize the ago-old harmony of the society. The women should take a lead to teach the right use of internet and mobile phone to lend capacity building to their wards. Sonowal also said that the people of Assam should give importance to work culture. 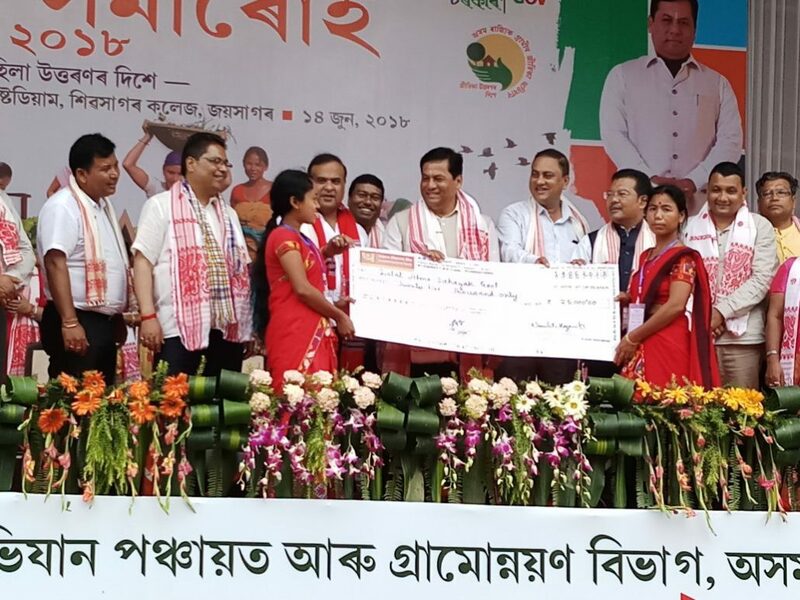 Synchronizing with the programme, Sonowal handed over cheques to 22 women self-help groups under Kanaklata Mahila Sabalikaran Achoni. Health and Family Welfare Minister Dr Himanta Biswa Sarma, Minister of State for Panchayat and Rural Development Naba Kumar Doley, Minister of State for Power Tapan Kumar Gogoi, MPs Rameswar Teli, Kamakhya Prasad Tasa also spoke on the occasion. MLAs Kushal Duori, Pranab Kumar Gogoi, Jogen Mohan, Bimal Bora, Deputy Commissioners of Sivasagar, Jorhat and Charaideo and a host of dignitaries were also present on the occasion.